Wood burning stove, and hydro-massage showers. Bit underwhelmed after reading such positive reviews. Found the woman quite abrupt and not really wanting to provide service. There’s a small cold shallow pool that you can put feet in. Dogs bark through night but it’s not their dogs. Meal was really good and huge portions. Had a twin room with window as most only have a skylight. 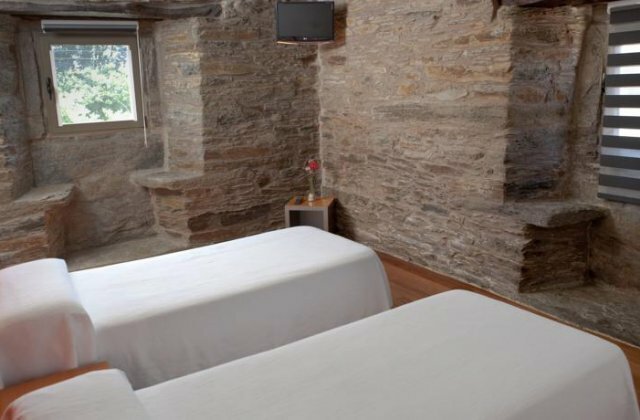 Clean albergue space, spacious bathrooms,nice blankets. One of the best dinners we've had on the Camino and great value for money breakfast with fruit, yoghurt and home-made jam. The albergue was very musty and not that clean. They have a hotel as well and this was definitely their focus. They separated us for dinner unless we were in the tour group. Odd way to end the Camino. Not recommended.